When my brother shifted to Zurich nearly two years ago from Singapore, my joy knew no bounds. Having grown up on a heavy dose of Yash Chopra and Bollywood, Switzerland was always on my travel wishlist. Yes, I wanted to see the Alps and the scenic beauty but I also had two very important reasons to visit Switzerland. Chocolate and Cheese. Before travelling, I spent hours on the internet researching about the food scene in the country. Which place served the best sausage, where can I get the best fondue, the best cheese and of course, the best chocolate. On one of my late-night surfing sessions, I came across Kerrin Rousset’s name. Kerrin runs the very popular ‘Sweet Zurich‘ tour where she or someone from her organisation takes tourists on a walking tour of the best sweet/chocolate shops in Zurich. I enlisted myself on the tour and on a very sunny afternoon, set off with my group to explore and obviously eat a lot of chocolate. Three of the shops in this list I discovered thanks to Kerrin. The other two I found out on my own. 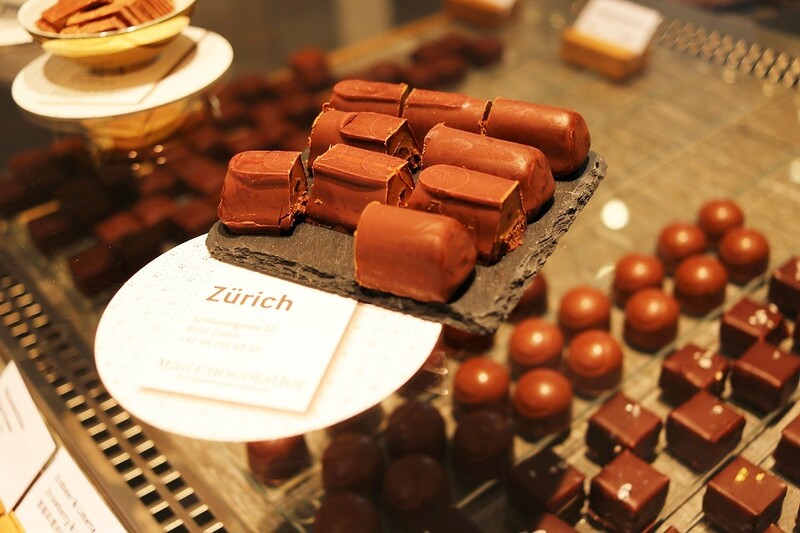 Here is my list of the Five Best Chocolate Shops in Zurich. The most famous café and chocolate shop in Zurich. It was founded in 1836 by Rudolf Sprüngli and the main café/restaurant has been at Paradeplatz on Bahnhofstrasse since 1859. The rich and famous of Zurich were seen sipping their hot chocolate or coffee and biting into their tarts and cakes here. 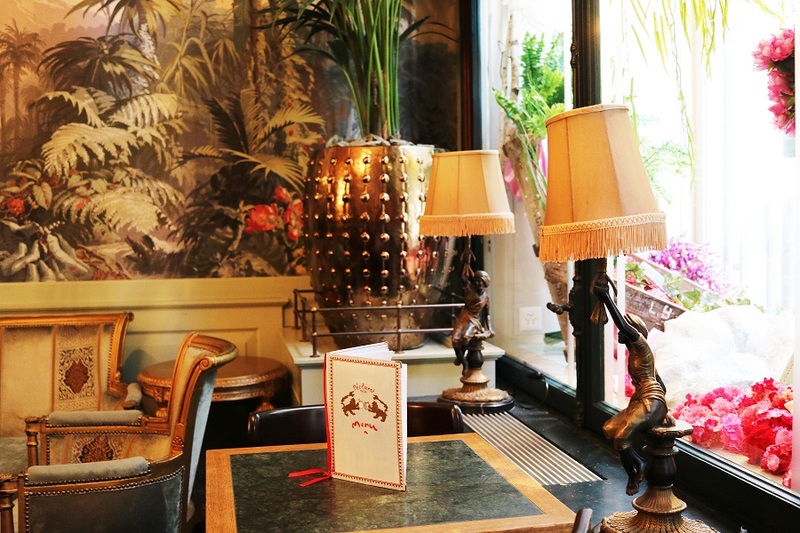 More than a 100 years later, the café still is one of the most popular places in Zurich. Sprüngli’s iconic hot chocolate is ranked the 4th best in the world and I can tell you that one sip of the delicious rich liquid will transport you into chocolate heaven straightaway! 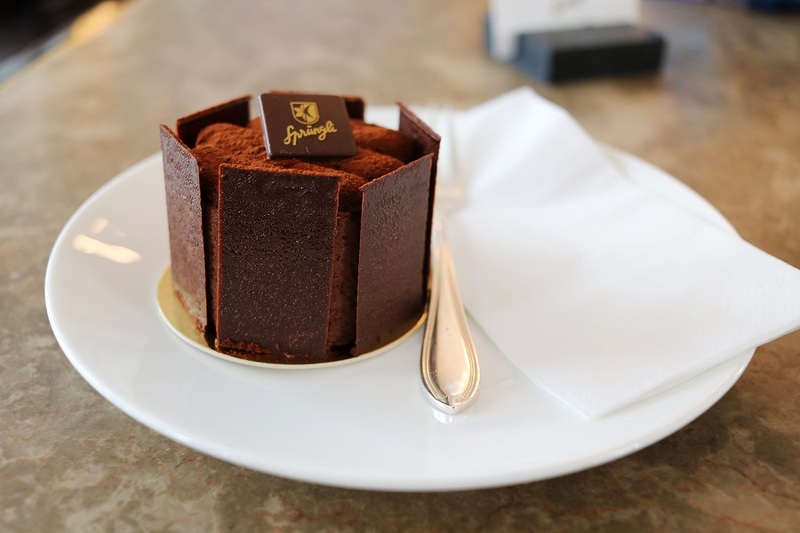 In my 2.5 weeks of stay in Zurich, I went to Sprüngli five times and tasted quite a few of their delicacies. 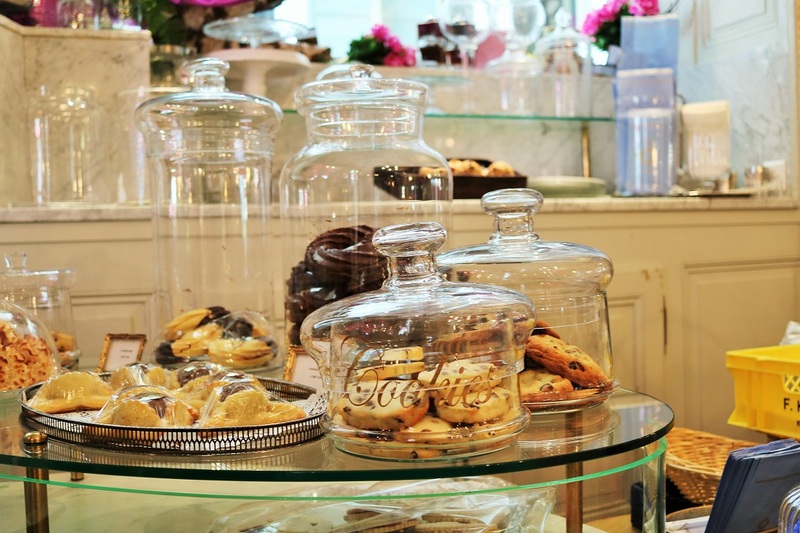 Not to be missed are the Hot Chocolate, Raspberry Tart, Truffle Cake, Birchermuesli with fresh cream, Salmon canapé, Truffles du Jour and the light and delicate Luxemburgerli available in different flavors. Luxemburgerli is slightly different from the French macron. These are smaller and filled with a light cream made of fresh, natural ingredients. These tiny things literally melt inside the mouth! 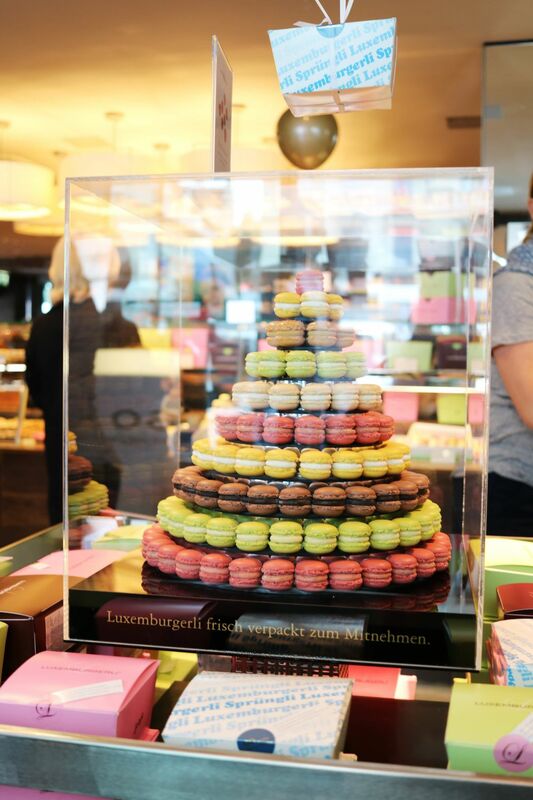 Why the name Luxemburgerli? Because it was created by a young confectioner from Luxembourg. 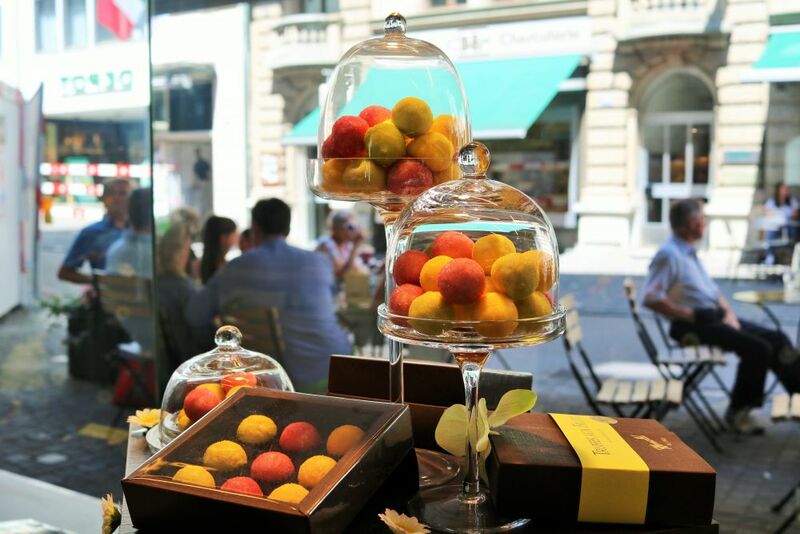 The café is located in Paradeplatz but the brand has a number of shops all over Zurich. If you want to buy something for your loved ones, nothing can beat a box of Sprüngli’s chocolate. However, they need to be consumed within 2-3 days so keep that in mind. 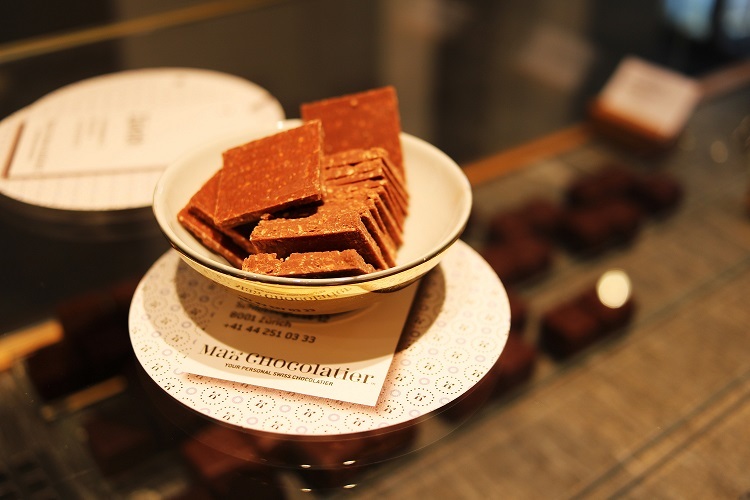 Second on my list is a relatively new entrant to the chocolate scene in Switzerland. Max Chocolatier opened in Lucerne in 2009. Their flagship shop is in Lucerne and they have one more in Zurich. Tucked away in a lane next to St. Peter’s Church, it is a small shop but what is available inside will blow your mind. From chocolate bars to chocolate truffles, chocolate spreads, chocolate pastries and ice-creams, they have it all. The best thing about the brand is that everything is hand-made and the ingredients are all locally sourced, organic and 100% natural. 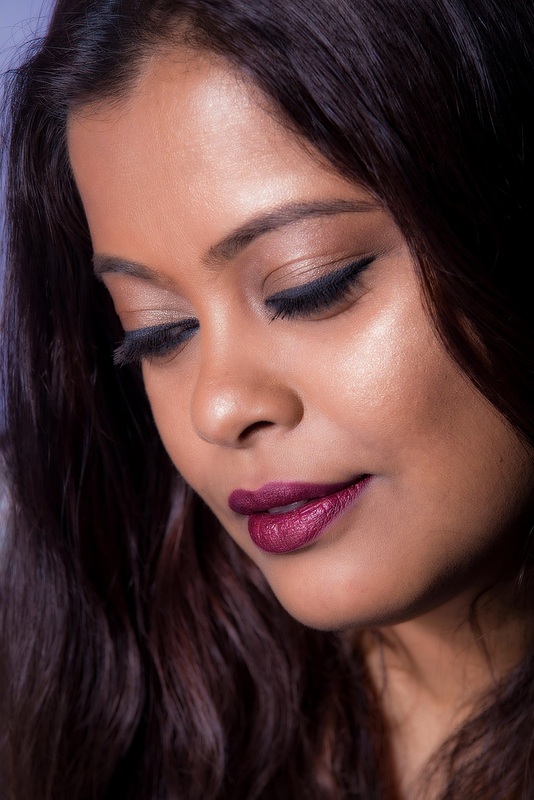 Hence, their products vary by season and they have a spring, summer, fall and winter collection. At the shop, you can sample treats before buying and I sampled quite a few of their creations. I was told that the Raspberry Branchli is the favorite of Max after whom the brand is named and after tasting, I knew why. Raspberry jelly and hazelnut gianduja on a bed of breton shortcrust pastry covered in dark chocolate. This one is a must must have!! I also tried the rich, dark and delicious chocolate truffle and one item from the summer collection, Candied Ginger Sticks. These are basically ginger sticks covered with dark chocolate. Never thought ginger and dark chocolate would taste so good together!! 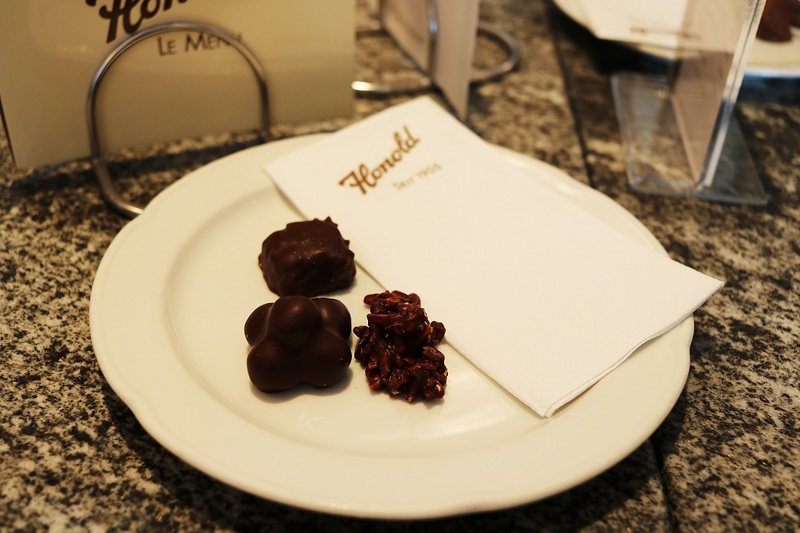 Since 1905, Honold has been making chocolates that are available only in Zurich. 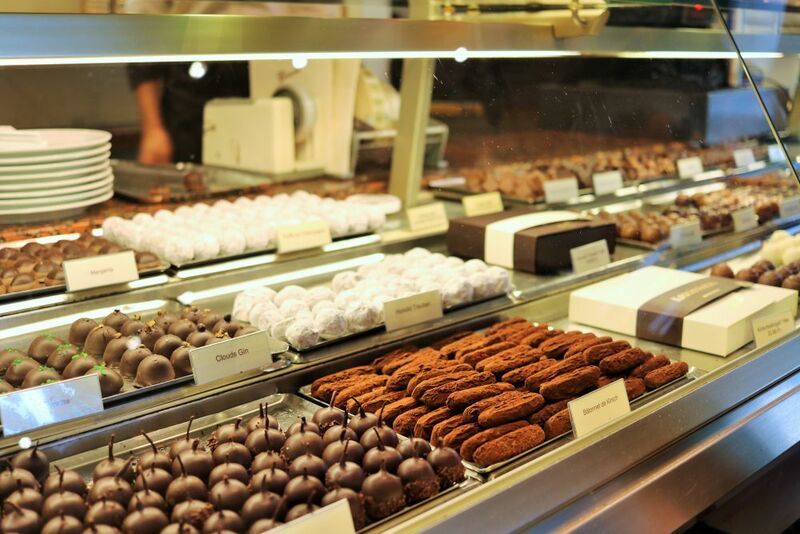 It is a family run establishment and is famous for their truffles and pralines. 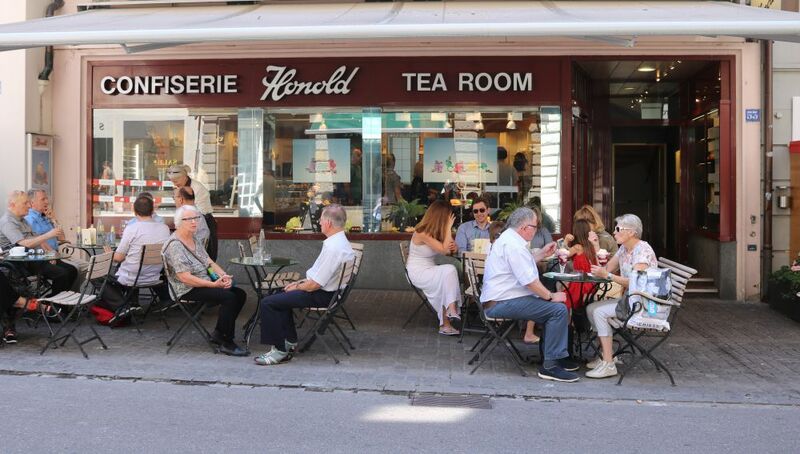 Located at Rennweg just off Bahnhofstrasse, this cafe/tea room is very popular with the locals. I was told that Honold’s is also famous for the Chocolate Tram which is an annual attraction for all chocolate lovers in Zurich! I tasted a selection of their dark chocolate treats and my favorite was the bestseller, Lotti’s Best. 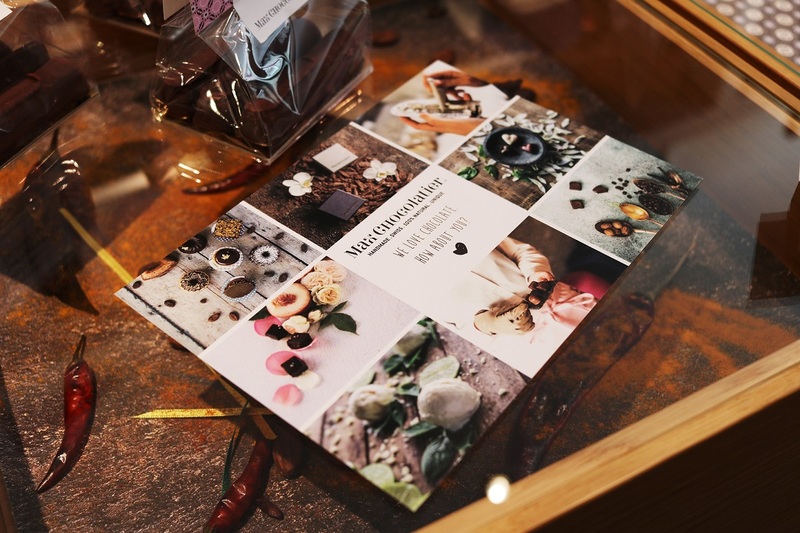 The creation is named after their previous owner, Lotti and is a mix of nougat, tonka beans and a pinch of fleur de sel, all enveloped in Criollo de Venezuela and milk chocolate and decorated with edible gold dust. Honold’s also comes out with seasonal specialties and in summer, there is a range of fruit-flavored chocolate that is available. Honold’s dark and creamy hot chocolate is also quite delicious. This cafe is located in the ‘old town’ and is the epitome of opulence and grandeur. Schober opened in the 1830’s and time seems to stand still here. The decor is exquisite and what is interesting about Schober is that each room is done up in a different way. On one end, you have a salon with a wine color scheme and velvet curtains and antique gilded furniture. Next to it is a room with a Middle Eastern theme with huge painted walls. Everything is mis-matched but somehow, it all looks so beautiful together. 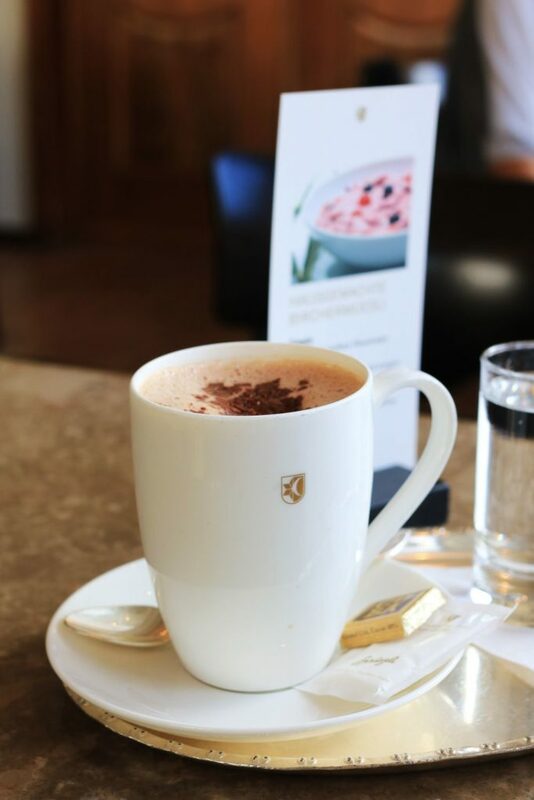 At Schober, I tasted the hot chocolate which is quite different from the one you get at Sprüngli. This one is a lot sweeter. If you are not fond of rich, dark hot chocolate, you will love this. Schober is also very popular for coffee, cake, tarts and other savoury items. It is also known as Cafe Peclard. This is probably the prettiest shop on Bahnhofstrasse. Teuscher was founded in 1932 in a small town in Switzerland and now, they have shops all over the world. 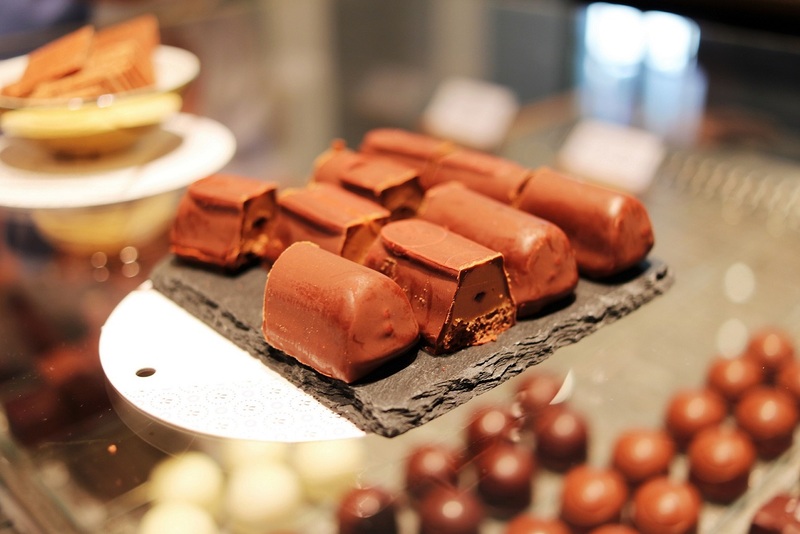 The most popular Teuscher creation is the champagne truffles, made from dark chocolate, buttercream, and Dom Pérignon. Exquisite will be an under statement to define it! No idea, why I did not click any pics of the shop and the chocolates! Another brand that is very popular is Laderach. In the airport, train stations, the main city, there are Laderach shops everywhere. They have a huge selection of chocolate but since I did not taste them, Laderach does not figure in my top 5. 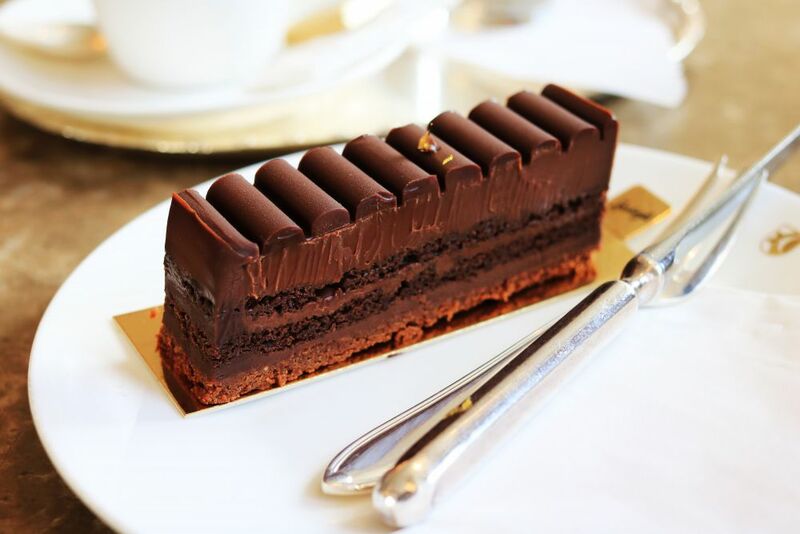 So that was my list of the Five Best Chocolate Shops in Zurich and I hope it will come in handy if you plan a trip there. If you have been to any of these shops, I would love to hear about your experience. Do share in the comments below.